It was not by chance that Fred Armisen got to spend 11 seasons as a cast member of the late night variety television show, Saturday Night Live. The award-winning comedian, who also has successful careers as an actor, musician, writer, and producer, is also known for his role in the comedy series Portlandia which he co-created, and as the bandleader of The 8G Band, the in-house band of Late Night with Seth Meyers. 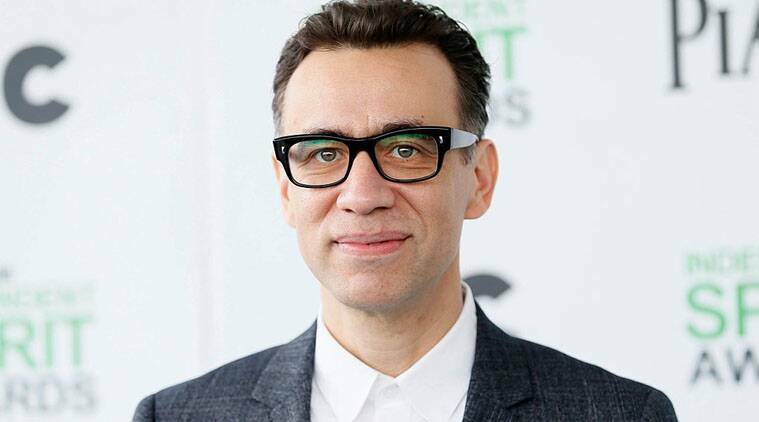 Fred Armisen was born Fereydun Robert Armisen to Hildegardt Mirabal and Fereydun Herbert Armisen on the 4th of December, 1966 in Hattiesburg, Mississippi although he was raised in Brazil and New York. Armisen is ethnically American but of mixed ancestry; Venezuela through his mother, and German/Korea through his father. As a child, Armisen was a fan of Rock music bands like Devo and The Clash, which made him want to become a musician. He put together a band with his friends in high school but the group later disbanded as he went to college. Fred still had hopes of following his dream but he first wanted to complete his studies at The School of Visual Arts in Manhattan. Somewhere along the line, however, he opted to drop out of school to fully concentrate on his music career. Chicago turned out to be Fred Armisen’s choice destination as he moved to the city in 1988 and joined punk rock band Trenchmouth as a drummer. Later on in the 90s, he began playing background drums for performance art company, Blue Man Group. During this time, Armisen began to show interest in pursuing an acting career. He was able to land roles on the shows Crank Yankers and Adult Swim which directly led to him getting the opportunity to feature on Saturday Night Live for the first time in 2002. Two years after his first appearance, the show’s creator, Lorne Michaels, promoted him to repertory cast member and making him only the second Latino cast member of the show. With the exposure Armisen received from SNL, he was now able to appear in a number of Hollywood productions like including EuroTrip (2004), Cop Out (2010), and Our Family Wedding (2010). He later quit the comedy show in 2014 as its third longest serving cast member but continues to appear in movies and series while still playing music. Fred Armisen is of mixed ancestry. His father, Fereydun Herbert Armisen, was born to a Korean father and a German mother in Lower Saxony, Germany. The older Armisen later moved to America where he found work at multinational IT company, IBM before meeting and marrying Hildegardt, a Venezuelan immigrant school teacher. Is Fred Armisen Gay or Married to a Wife? Fred Armisen is definitely not gay although he has in the past featured as a gay guy in sketches for SNL. His perfect portrayal of those characters have prompted speculations but we can confirm for you that it is not the case. If you need more proof, here’s a look at his relationship history with women. In 1998, Armisen exchanged vows with English singer Sally Timms. That marriage lasted for six years before the couple called it quits in 2004. A few years later, he began dating The West Wing TV series actress, Elisabeth Moss. The couple got engaged in January 2009 and by October that year, they got married in a lavish Long Island, New York wedding ceremony, however, just eight months into the marriage, the couple separated. Three months after their separation, in September 2010, Moss filed divorce proceedings which were finalized in the following year. Read Also: Who Is Max Thieriot? His Wife, Age, Height, Net Worth, Is He Gay? Following the end of his second marriage, Fred Armisen stepped away from the dating scene for about three years before it came to light that he was now in a relationship with actress Natasha Lyonne. The pair began seeing each other in 2014 and have since that time been an item. It is not clear if the wedding bells would be ringing anytime soon as the couple look happy with their current togetherness. Ms. Lyonne, who is an Emmy Award nominee, is best known for her roles in the Netflix series Orange Is the New Black as well as the American Pie film series.